Beats Pro headphones are designed for sound engineers, musicians, and those who take sound seriously. We also verify that the serial number and UPC match the original invoice, and any item that does not match will not be accepted. Picture is of the actual item. Hear every nuance of your music with lifelike clarity with the FXA2 in-ear monitor. 112dB at 1mW sensitivity for distortion-free audio. Picture is of the actual item. 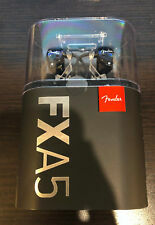 FXA5 PRO IN-EAR MONITORS. 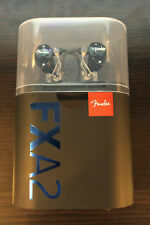 Add exceptional performance and clarity to your listening experience with the FXA5 in-ear monitor. Designed and hand-assembled in Nashville, these comfortable low-profile monitors use patented technology for highly detailed sound and robust performance. Beats by Dr. Dre Pro Over-Ear Headphones - Infinite Black (A11 Bulk JAY). Condition is New. Shipped with USPS Priority Mail. Factory sealed. Never been opened!!! If you have any questions, please feel free to contact us. Good Condition Beats by Dr. Dre Pro Detox Headband Headphones. Condition is Used. Headphones are in fair condition physically but work great. May need new ear foams. Shipped with USPS Priority Mail. Let me know if you have any questions. Thank you! Trending at $181.66eBay determines this price through a machine learned model of the product's sale prices within the last 90 days. Beats by Dr. Dre Pro Detox Headband Headphones Black/Black Cord - Used in excellent condition. Condition is Used. I'll include both cables pictured. Note: one side of headband has a little rips, see pictures. Earpads are excellent and they look like they were rarely used. Shipped with USPS Priority Mail. 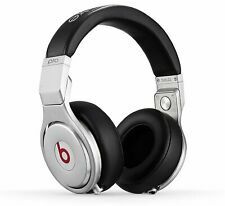 Beats by Dr. Dre Beats Pro Headphones Silver/Black color !!! Beats by Dr. Dre Beats Pro Headphones Silver/Black color !!!. Condition is great but still used very little. Shipped with USPS Priority Mail. New ListingBeats by Dr. Dre Pro Headband Headphones Silver Authentic TESTED! 4.5 out of 5 stars - Beats by Dr. Dre Pro Headband Headphones Silver Authentic TESTED! 88 product ratings88 product ratings - Beats by Dr. Dre Pro Headband Headphones Silver Authentic TESTED! Beats by Dr. Dre Pro Detox Headband Headphones Black/Black Cord - Used . Condition is Used. Shipped with USPS Priority Mail. High performance professional headphones. These headphones have been previously owned and are in good working condition. Special designed for Beats Pro / Detox. Type: Ear pads. 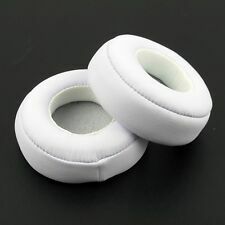 1 pair of white ear pads. This is our SOP, for us to be certain and for record purposes. Thickness: 28mm. Received Wrong Item/Not as Described. 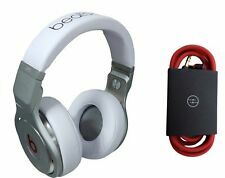 Beats by Dr. Dre Pro Headband Headphones - White. Shipped with USPS Priority Mail. You can use these tools on a large amount of electronics but we have them tailored for our Beats By Dre repair team. Most Comprehensive kit for repair Beats and other electronics. The rounded end allows for easy to spin screw action on the removal of and screwing in of screws. Beats by Dr. Dre Pro Over the Ear Headphones - Black/Silver. Condition is Used. Shipped with USPS Priority Mail. Beats by Dr. Dre Pro Headband Headphones - all factory items included. Condition is Used. Shipped with USPS Priority Mail. Very lightly used. Everything is included from the factory- box, literature, cleaning cloth, tote bag, 2 audio chords, headphones. Everything has been cleaned and stored in a smoke free home. Box some minor self wear. Genuine Beats by Dr. Dre Beats Pro Headphones. High performance and quality headphones. With the strong and powerfull rich sound of Beats by Dr. Dre all in a comfortable cushioned ear pad design. Flip Up Ears. Trending at $128.33eBay determines this price through a machine learned model of the product's sale prices within the last 90 days. Beats by Dr. Dre Pro Headphones - Aluminum. Condition is Used. Shipped with USPS Priority Mail. Beats by Dr. Dre Beats Pro Headbands Headphones silver-Black color !!! For sale used in very excellent condition Beats by Dre BeatsPro Headbands Headphones Silver-Black color,Very Good sound on both speaker. 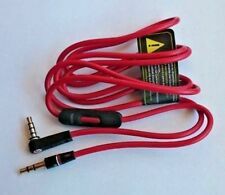 Beats audio cable ,warranty 100% authentic Beats Pro. Beats by Dr. Dre Pro Headphones - Aluminum. Condition is New. Shipped with USPS Priority Mail. 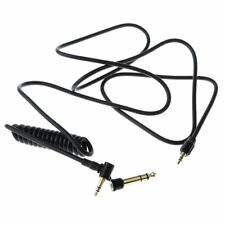 T5 screwdriver which will allow you to get those special screws off the Beats headphones. 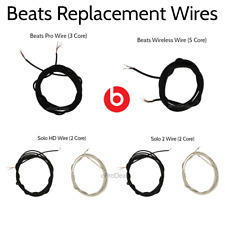 We repair any and all Beats product. Beats by Dr. Dre Pro Headband Headphones Red Lil Wayne Limited Edition. Used. Condition is excellent. Shipped with USPS Priority Mail. Beats by Dr. Dre Pro Over the Ear Headphones - Black NEW. Condition is New. Shipped with USPS Priority Mail. Item is used and may have scuffs, scratches or signs of wear. Look at pictures for details. Item has been fully tested, inspected and is in good working condition. Zipper bag and Headphone only.